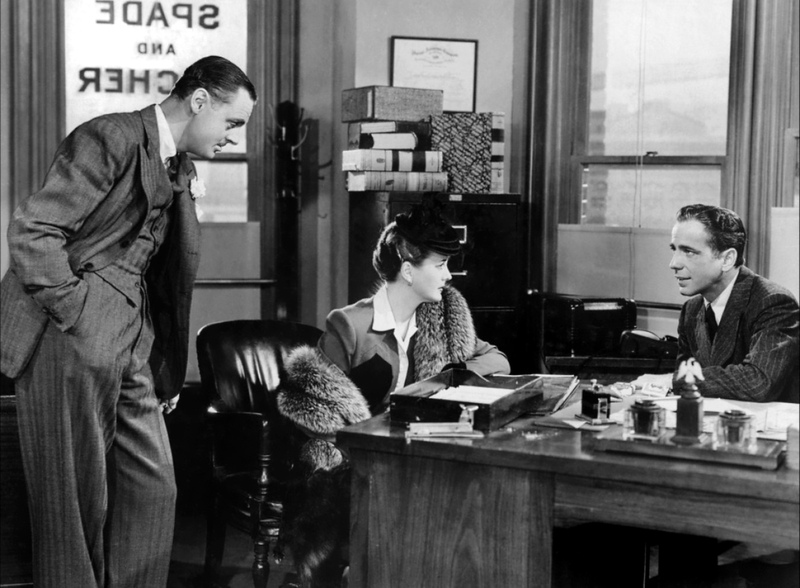 In The Maltese Falcon Sam Spade (Humphrey Bogart), a private investigator, and his partner Miles Archer (Jerome Cowan) are approached by a Miss Wonderly (Mary Astor) who asks them to find her missing sister. Spade doesn’t believe her, but they take the money she offers them and agree to do the case. That night, Archer is killed and Spade finds out Miss Wonderly isn’t who she claims to be. – The Maltese Falcon is based on a novel by Dashiell Hammett. It is the third film version of this novel. 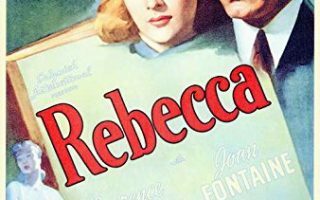 The first version appeared in 1931 with Ricardo Cortez and Bebe Daniels and the second one appeared in 1936 and was called Satan Met a Lady and starred Warren Williams and Bette Davis. Neither were as successful as this 1941 version. – This film follows the original storyline of the book closely, although some sexual references, especially concerning homosexuality, had to be removed because of the strict censorship at the time. – The Maltese Falcon was John Huston’s directorial debut. The screenwriter would become one of the most successful directors in Hollywood. – As a good luck gesture to his son, actor Walter Huston played the freighter captain who delivers the Falcon. Though he had to promise the studio he would not ask any money for his appearance. – The two leading roles were first offered to George Raft and Geraldine Fitzgerald, who both declined. Coincidentally, the roles they play in The Maltese Falcon are the ones that Humphrey Bogart and Mary Astor are associated with the most today. – Two Maltese Falcon’s were used during filming, because Humphrey Bogart broke the first one. – The two atomic bombs America dropped on Nagasaki and Hiroshima were named after two characters of The Maltese Falcon: “Fat Man” and “Little Boy”. – Johan Huston asked Mary Astor to run a few laps around the set for each scene, to give her a breathless, nervous appearance. – The Maltese Falcon could not be shown on television in the US for decades because of the underlying sexual suggestions. – The Maltese Falcon was so successful that the studio decided to make a sequel. 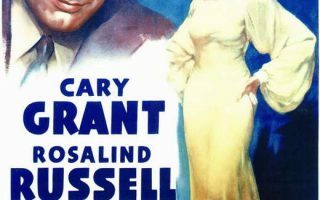 The screenplay was finished and filming was good to go, when original writer Dashiell Hammett informed them that he owned the rights to the characters, not the studio. Since The Maltese Falcon was John Huston’s directorial debut and the film did not have a large budget, it’s success was a surprise. 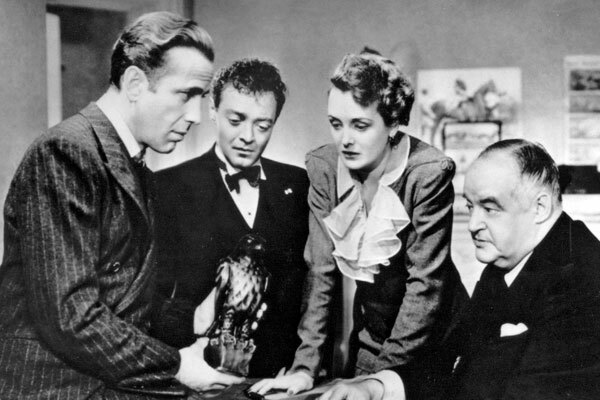 Even though it did not receive any awards, The Maltese Falcon did do very well at the box-office and established the careers of those involved. In the decades to follow, both film critic Roger Ebert and Entertainment Weekly would call it ‘one of the greatest movies of all time’. 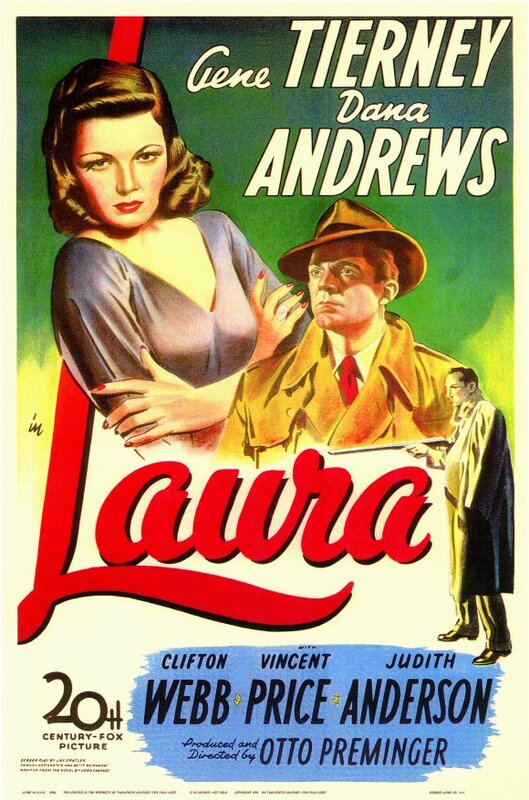 It is seen as the first major and ultimate film noir. 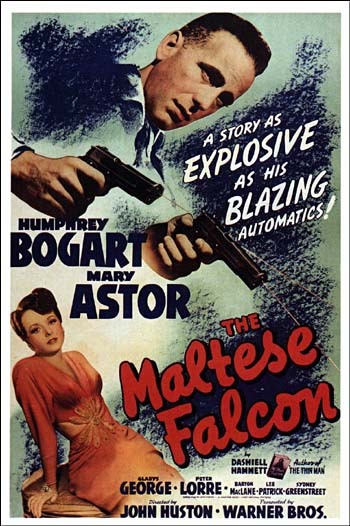 Many films today are still inspired by The Maltese Falcon and the film has surpassed the book’s fame. The Maltese Falcon has not lost its appeal and has become a beloved classic.